Home News Circuits, Voltages, Electronics, and Programming, Oh My! 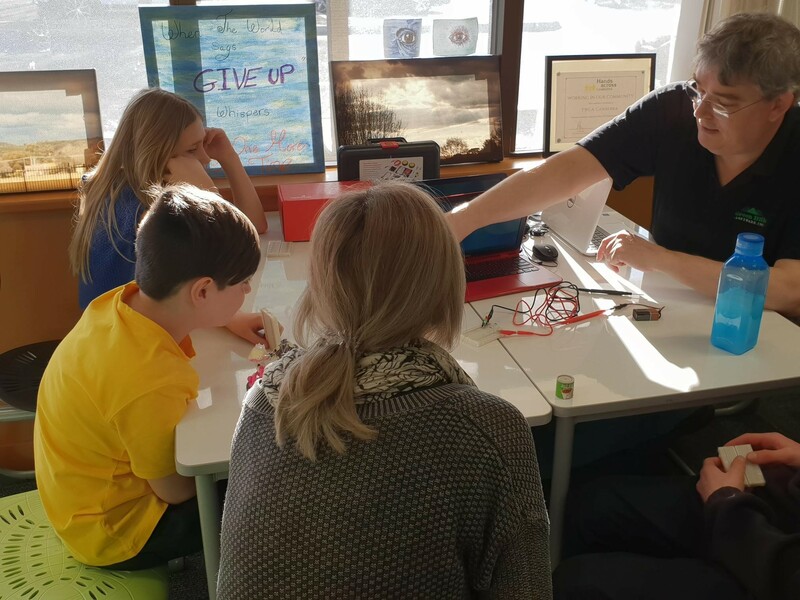 The YWCA Canberra Clubhouse is dedicated to facilitating learning opportunities for young people in the areas on science, technology, engineering, arts, and mathematics (STEAM). The Clubhouse strives to expose young people to the full breadth of STEAM, which is why we place an emphasis on having volunteer mentors with industry knowledge to support our members learning. This week one of our newest mentors, John joined us to share his interest in computer programming with our members. John’s background is in embedded software and training. Embedded software is computer software, written to control machines or devices that are not typically thought of as computers. It is typically specialised for the particular hardware that it runs on and has time and memory constraints. John also teaches his customers system design, programming, networking and communications. As a hobby he dabbles in the hardware of computers, particularly the aspects of voltage/current, resistance/capacitance, and soldering too. John also just completed mentoring students as part of the Australian Maths Trust digIT 2018 program. In a workshop delivered to our members, John captivated us with LED lights that demonstrated the intricacies of electronics and circuits. We hypothesised the results when using different voltages and awaited the bulb to pop! With much disappointment, the pop never came, and we had to settle with a bit of smoke. John then moved on to explaining how an Arduino board works. Arduino is an open-source electronics platform based on easy-to-use hardware and software. It’s intended for anyone making interactive projects. 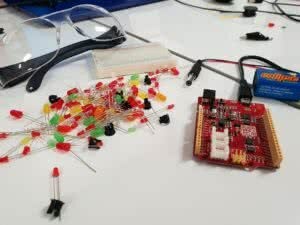 Arduino senses the environment by receiving inputs from many sensors, and affects its surroundings by controlling lights, motors, and other actuators. 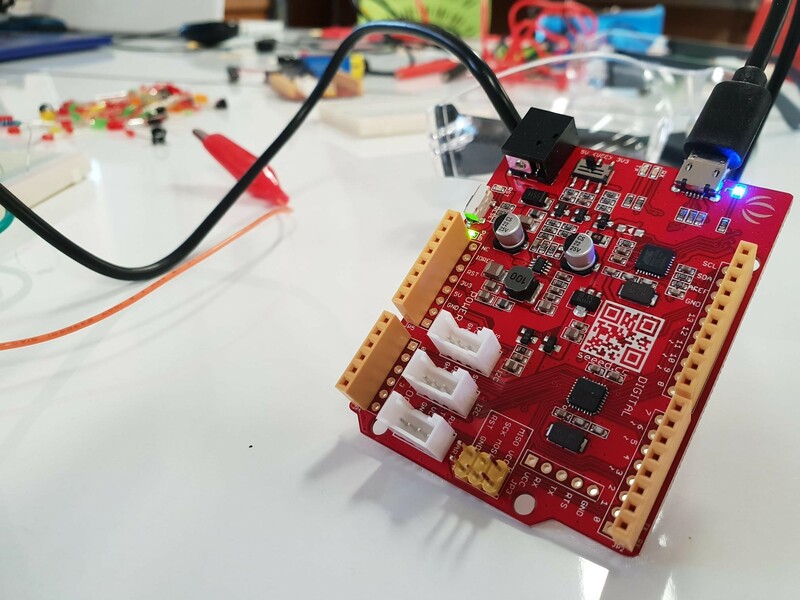 Next week, we will be welcoming John again to deliver a more in-depth workshop that will involve programming the Arduino to flash an SOS signal. We are very excited to have John as mentor at the Clubhouse. We can already see the impact he has had with our members and are eager to see where it will lead them! Clubhouse mentors join a unique community of young people and adults who create, invent, and explore together. Mentors at the Clubhouse vary in age, background, interests and skills. Mentors can include students, artists, educators, graphic designers, software developers, architects, previous Clubhouse members, and more! Clubhouse mentors help young people express themselves through technology and support members as they connect their interests with computer, technology, and creative skills. To register your interest in becoming a mentor, contact our Clubhouse Coordinator, Annie Rowley, at annielea.rowley@ywca-canberra.org.au or on 0406 375 993.